Now, nearly a year and a half later, Walt Disney World is officially announcing that DisneyQuest will be closing. As part of their multi-year transformation of Downtown Disney into Disney Springs, DisneyQuest will shut its doors for good on July 3, 2017. 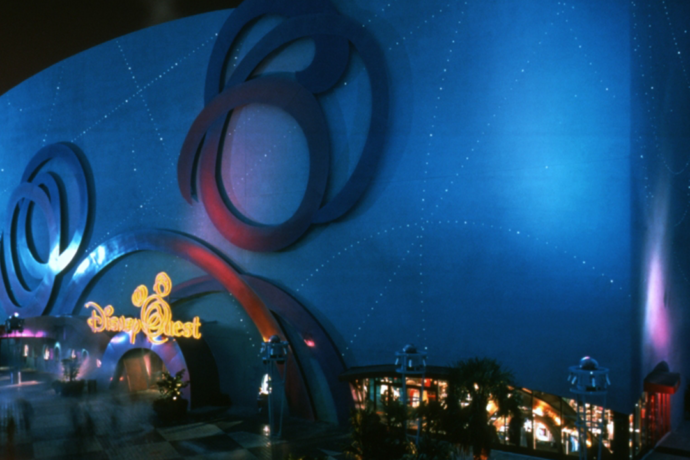 DisneyQuest originally opened in the summer of 1998, boasting high-tech games, virtual reality experiences, and classic arcade fun. While experiences like CyberSpace Mountain and Pirates of the Caribbean: Battle for Buccaneer Gold were quite successful, not much innovation has taken place since its opening, nor many new attractions been added, which may have helped DisneyQuest’s popularity to wane. No word yet on an opening time frame for the forthcoming NBA Experience.